This book argues that there is a new, Sinological form of orientalism at work in the world. It has shifted from a logic of ‘essential difference’ to one of ‘sameness’ or general equivalence. "China" is now in a halting but inevitable process of becoming-the-same as the USA and the West. Orientalism is now closer to the cultural logic of capitalism, even as it shows the afterlives of colonial discourse. This shift reflects our era of increasing globalization; the migration of orientalism to area studies and the pax Americana; the liberal triumph at the "end" of history and the demonization of Maoism; an ever closer Sino-West relationship; and the overlapping of anti-communist and colonial discourses. 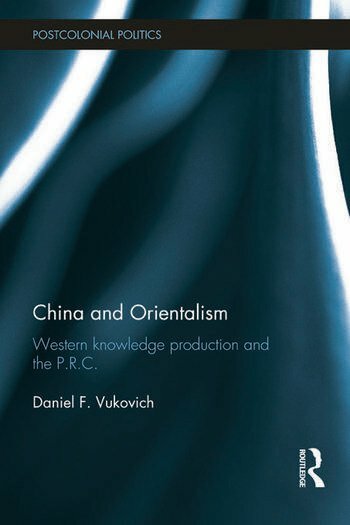 To make the case for this re-constitution of orientalism, this work offers an inter-disciplinary analysis of the China field broadly defined. Vukovich takes on specialist work on the politics, governance, and history of the Mao and reform eras, from the Great Leap Forward to Tiananmen, 1989; the Western study of Chinese film; recent work in critical theory which turns on ‘the China-reference"; and other global texts about or from China. Through extensive analysis, the production of Sinological knowledge is shown to be of a piece with Western global intellectual political culture. This work will be of great interest to scholars of Asian, postcolonial and cultural studies. Daniel F. Vukovich teaches critical and cultural theory as well as postcolonial and China studies at Hong Kong University.